In the grand scheme of things, laser dentistry is a relatively new style of dentistry. 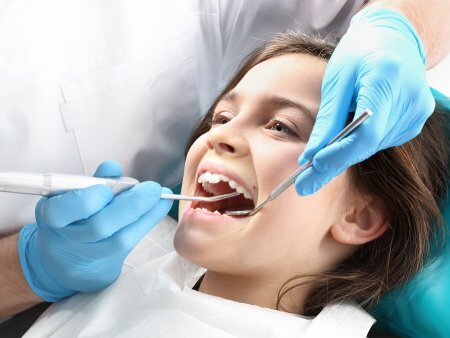 As long as your dentist is trained and experienced in this new form of dental care, then you can stand to have a more comfortable experience as a patient. Keep reading to see how laser dentistry offers better accuracy and an easier recovery process. Dental exams should be comfortable experiences. Some people tend to become a little uncomfortable when they see metal dental tools, but laser dentistry only uses laser energy and water. This gets rid of the pressure that you can feel even when under anesthesia, and sometimes you won’t even need an anesthetic to undergo the procedure comfortably. Part of the reason laser dentistry contributes to a better experience for patients is that it gives the professionals more control. More precision means a smaller risk of mistakes. If you get nervous when you see the dentist’s drill, you may have the opposite feeling when you see the laser. Since your dentist will be able to perform the procedure with more precision, you may also spend less time in the dental chair. Laser dentistry can be used for a wide range of procedures, so talk to your dentist or oral surgeon to see if it’s an option for yours. Undergoing restorations and oral health treatments helps alleviate symptoms, but you still have to deal with the aftermath. When you go with laser dentistry, there might be significantly less to deal with after your treatment. Laser dentistry minimizes bleeding and swelling, which can contribute to a much more comfortable recovery process. If you think laser dentistry near Hazlet might be the solution for you, call the dentists at Glenwood Premier Dental at (732) 264-4477. You can also check out our website or stop by our offices to learn about our teeth whitening, gum disease, and root canal treatments.